Heated Seats, iPod/MP3 Input, Dual Zone A/C. FUEL EFFICIENT 30 MPG Hwy/19 MPG City! Torred Clearcoat exterior, SXT Plus trim READ MORE! QUICK ORDER PACKAGE 21V SXT PLUS Engine: 3.6L V6 24V VVT, Transmission: 8-Speed Automatic (845RE), Ventilated Front Seats, HD Radio, Rhombi 2-Pc Wheel Center Cap, Heated Steering Wheel, Integrated Center Stack Radio, Hectic Mesh Interior Accents, 6 Premium Speakers, Bright Pedals, Power Tilt/Telescope Steering Column, Heated Front Seats, Leather Trim Seats, Fog Lamps, 1-YR SiriusXM Guardian Trial, Anti-Lock 4-Wheel Disc Performance Brakes, Shark Fin Antenna, 3.07 Rear Axle Ratio, 276 Watt Amplifier, For Details, Visit DriveUconnect.com, For More Info, Call 800-643-2112, 1-Yr SiriusXM Radio Service, ParkSense Rear Park Assist System, Firestone Brand Tires, Universal Garage Door Opener, Door Trim Panel w/Ambient Lighting, 8.4" Touchscreen Display, DRIVER CONVENIENCE GROUP Remote Start System, Blind Spot & Cross Path Detection, Power Multi-Function Foldaway Mirrors, High Intensity Discharge Headlamps, SUPER TRACK PAK Sport Suspension, Performance Steering, Goodyear Brand Tires, 3.07 Rear Axle Ratio, Rhombi 2-Pc Wheel Center Cap, Steering Wheel Mounted Shift Control, Dodge Performance Pages, ENGINE: 3.6L V6 24V VVT (STD), TRANSMISSION: 8-SPEED AUTOMATIC (845RE) (STD). Rear Spoiler, MP3 Player, Keyless Entry, Steering Wheel Controls, Electronic Stability Control. 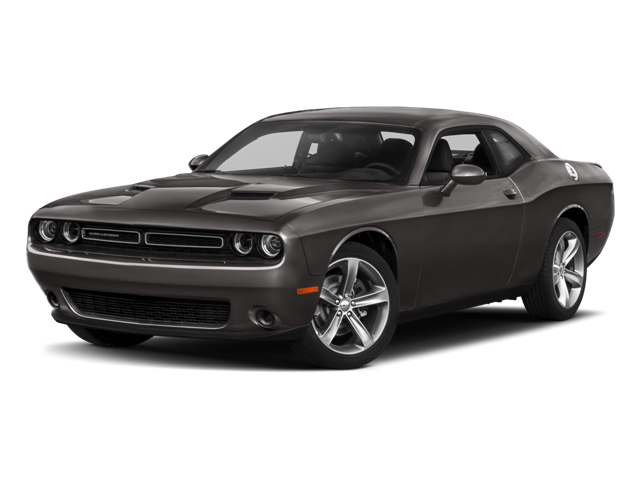 Hello, I would like more information about the 2018 Dodge Challenger, stock# DG2357. Hello, I would like to see more pictures of the 2018 Dodge Challenger, stock# DG2357.